In the past, I've enjoyed reading about some blogger's trips to Walt Disney World yet I've never really thought I should do a post like it too. 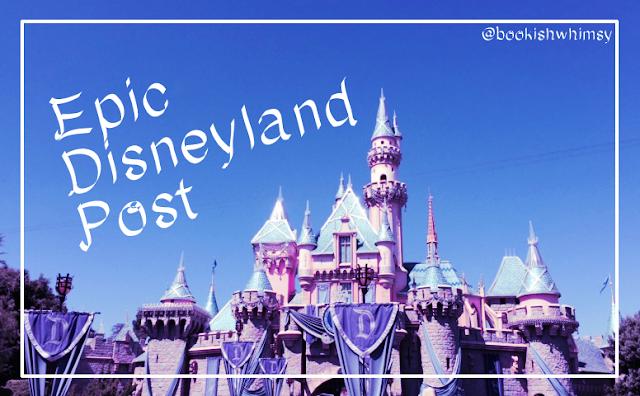 Where I highlight my trip to Disneyland and talk about what I did there. And there are some pretty big differences between Walt Disney World and Disneyland which I gathered from reading other blogger's posts (as well as listening to a Disney podcast about it!) So hopefully with this post I can give a sense of what it's like to spend a day in the original Happiest Place on Earth. There is a poisoner loose in London, who seeks out positions as a cook, and has poisoned her employers in the past. Mr. Mummery and his delicate wife, have just hired a wonderful cook, but Mr. Mummery hasn't been feeling too well lately. As he considers his illness, the weakness of his wife, and the still at large cook murderess, he begins to have suspicions about the woman he hired. This is an hour long adaptation of a Dorothy L. Sayers short story. It was previously adapted as a regular half-hour story, but they brought it back for a longer format, which honestly, I don't think was necessary. This story would probably have been better in half an hour. (I haven't listened to the shorter version.) The premise is simple, and for most of the hour, we just get to hear circumstantial evidence against the Mummery's cook. 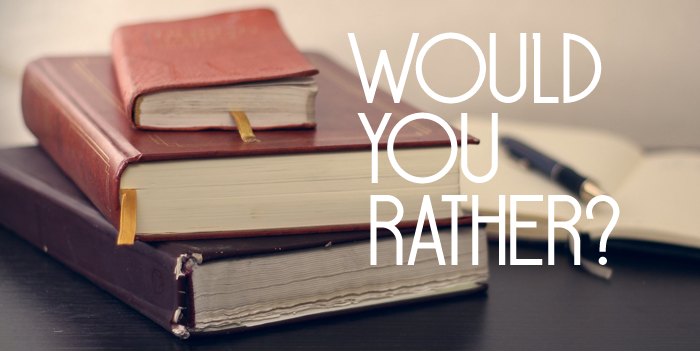 Question 2: Which Truthwitch character would you like to have as a best friend? Iseult is one of the main characters in Truthwitch, and I am absolutely drawn to her for being intelligent, grounded, practical and a reader. She also has a troubled past, and is subject to a lot of awful prejudice and racism in the Witchlands, which makes me want to hug her. She is fiercely loyal (as can be seen in her bond with the other main character of the book, Safi) and that is always a great quality to have in a bestie. 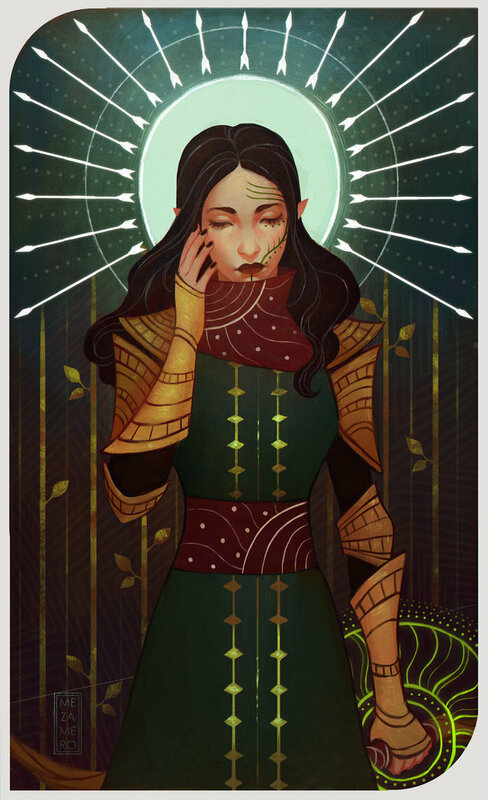 Safi and Iseult are threadsisters, and that seems to indicate a deeper bond than mere friendship (although I haven't seen that really explained yet just from reading the 15 chapter sampler of Truthwitch!) Do I need to mention how much I would like to read more!!?? While the book title already gives away that this is a ghost story, I thought the building of the story was unique in that it didn't seem quite like a ghost story right away. It helps that the main character, Elena, has her secrets, and the mystery of her past, as well as the severity of Samuel's epilepsy made it possible that there were other things going on in this story. In that way, suspense is built up quickly, and I found this an engaging read from the start. Elena is a wonderfully rational main character, at first. Her upbringing and society has kept her restrained and proper, but in the setting and decadence of Venice, she becomes more of a woman, and realizes her potential. That character arc is the heart of the story, which made this novel feel more complex than just a ghost story. Especially when it is juxtaposed with the tragedy of the Basilio palazzo. Danny is in love with the maid at Mrs. Bramson's estate, and lets Mrs. Bramson know that he plans to wed the maid Dora. Old Mrs. Bramson takes a liking to Danny and enjoys his company, but Mrs. Bramson's niece, Olivia, is suspicious of him. There has been a murder in the area and Olivia is intent on finding out if Danny is guilty. This is another hour long episode of Suspense, and unfortunately in this case, I think the story dragged on for far too long. It's an interesting set up, but there are characters introduced that got me confused, and then I wasn't really sure what I was supposed to take away from the story by the end. Because it all seemed rather predictable and I didn't feel like there was a major twist. The high point perhaps of this story is that it is based on a play which was running at the time, and it brought two actors from the production, and I always think it's nice that a play can be immortalized with some or all of the original cast since that particular experience of the play is transitory. I'm sure watching the play would have been better than listening to this radio version though. Question 1: Why do you think water is an important element? First, a little info about the street team here - the bloggers who were chosen were (randomly?) placed into different clans that are represented by one of the classical elements - earth, air, fire, water, as well as aether and the void - and obviously I'm in the Water clan and our awesome clan designated ourselves as the Waterwitch Babes. I did not pick Water as my element, but being in the clan and exploring all the graphical and thematic aspects of it, has heightened my appreciation of it. Already I feel like I have a connection to water because I love the sea, and my favorite Disney princess is Ariel so mermaids are definitely cool. One of the aspects of water that I'm really connecting with though, is how water flows and adapts to it's environment. The ability to adapt fluidly to what comes your way is such an incredible gift. It's what can keep you young at heart, aware, present, and ultimately happy. If you can accept change, and know that you will be okay regardless, well it is a wonderful thing. And water is the best element that represents that ability to move and go with the flow as they say. Truthwitch Street Team shenanigans: The Water Clan is so awesome, and we have lots of ideas and plans ahead for being the best book street team ever! I find it is taking up quite a bit of my time too. Reading: With the above two events, I'm finding I have less time to just read, and that is unacceptable! So with all of that my new posting schedule will be Tuesday, Thursday and Sunday. It might change in the future if my plans change, but I definitely do not want to give up on blogging, so this is the best compromise! And heads up - my next post on Thursday will be something new! Thank you for reading and for following my blog, you lovely people you! Todd is visiting his wife, who is in a nursing home as she has a brain tumor that can not be removed. The tumor affects her memory as well as her emotions, and she doesn't realize why she's in the home, or that so much time has passed since she has lived there. Todd takes Emily out for a quiet day together, but she gradually becomes paranoid and afraid that Todd is going to do something to her. Since it's unclear in the beginning if Todd really loves his wife or is just pretending so she won't get upset, it was very suspenseful trying to figure out what Todd is planning. And it's surprising too when you do find out, because what Todd plans to do, is kind of sweet (well I guess some people would think so) but also terrible, so there's a moment when I was really afraid for Emily in the story. The story does have a happy ending though (living up to that title!) but it's a very convenient happy ending, which made me roll my eyes, even though I was glad that Emily and Todd were going to be okay. I'd much rather have a happy ending though, even if it's a bit cheesy! This book is a complete delight and it all starts and ends with the heroine, Veronica Speedwell. She is unconventional, sassy, and perfectly fine with doing whatever she wants despite gossip and public disapproval. She is so much fun to read about! She's also very intelligent, with a curious, inquiring mind which is perfect for solving mysteries, in addition to her profession of collecting and cataloguing butterflies. The story takes the reader immediately on an adventure with the death of Veronica's Aunt, because very quickly after Veronica is in danger from ruffians. 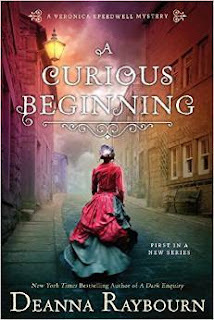 The pace of this book is not perfect for me - I loved how quickly it took off in the beginning, but the middle felt a little slow at times, even though there were important character details and developments. It was entertaining throughout, but I did wonder a bit halfway through at how long it took Veronica and Stoker to get to solving the mystery. Speaking of Stoker - he's so much fun as well. Veronica and Stoker have this perfect, antagonistic friendship (soon to be romance I'm sure! ), full of banter and barbs and it's just another reason why I loved reading this book. While Stoker and Veronica were surely meant for each other, despite the glee they take in annoying the other, I'm glad that their relationship doesn't move too fast in this book, and there's a lot of potential for them to grow in the next book in the series. Stoker was also interesting to me because he's presented as a handsome (albeit scarred) and intriguing man, but he's not perfect by any means, and I am eager to learn more about him. 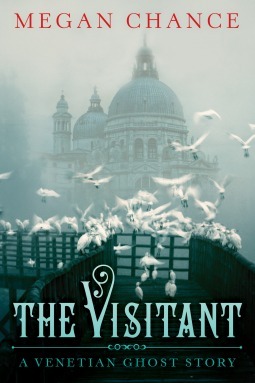 The mysterious aspect of Veronica's past was a little obvious to me about halfway through, so the mystery wasn't the suspenseful part of this story (how Veronica and Stoker would unravel everything and evade the people after them was), but I think the characters, the humor, and the appealing adventure of this book is what makes it a standout read for me. I highly recommend it! First there was the mystery of the film star and the diamond! then came the 'suicide' that was murder! the mystery of the absurdly chaep flat! a suspicious death in a locked gun-room! a million dollar bond robbery! the curse of a pharoah's tomb! a jewel robbery by the sea! the abduction of a Prime Minister! the disappearance of a banker! a phone call from a dying man! and, finally, the mystery of the missing willl. What links these fascinating cases? Only the brilliant deductive powers of Hercule Poirot! This is a wonderful short story collection! Every story features a mystery that is well set-up, difficult to solve, and an utter surprise when Poirot explains it all in the end. It's still so astonishing to me how inventive Agatha Christie can be, and how well she can craft a solid mystery in only a few pages. 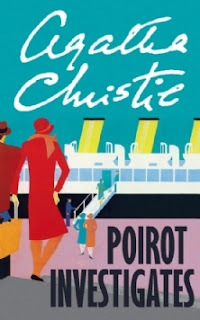 In this book there is more to learn of Poirot and his quirks, as well as a finer shading of Hastings' character as you see how low-key petty he can be in the face of Poirot's delightful arrogance. I feel bad for Hastings sometimes, but I also find it amusing how he can almost want to see Poirot fail just because Poirot is so self-assured. There are many stand out stories in this book, but I think my favorite is The Kidnapped Prime Minister. The misdirection, and the stakes of the story gives it a lot of interest. And there is something satisfying in seeing Poirot poised for failure, but triumphant in the end. I have to note the last story in the book - The Chocolate Box - which is a story that Poirot tells Hastings of a past case when he was still in Belgium, where he 'failed', and it's so interesting to have that side of him in this book. Obviously Poirot is still a marvel, but I like that this story humanized him a bit more. I love this particular collection of Poirot short stories because it is early days for Poirot, and the later mysteries can get a bit sadder and more poignant. And because these are short stories, the mysteries come off as more of a romp and are thoroughly enjoyable for it. This is another post that is brought to you from the Truthwitch Street Team! 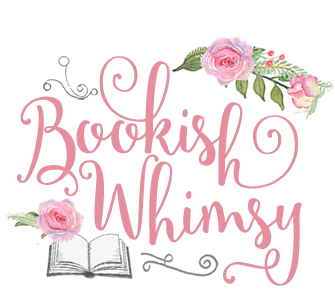 Previously the Waterwitches discussed reasons to sign up for Susan Dennard's awesome newsletter, and now we are back to talk about the genre of Fantasy and why we love it. And for some exciting news - Susan Dennard and Kate Elliot (author of Court of Fives) are hosting a twitter chat THIS WEDNESDAY, September 9th, at 8p.m. EST. I hope you can join us! I'll be there reading all the awesome answers and trying to think of interesting questions to ask! Reading is an escape for me, and while I love reading many different genres, I feel like fantasy is the best kind of escape from everyday life. At the end of the I just want to relax in a different environment to the one I’m used to seeing. And in fantasy, anything is possible, which means there are so many possibilities within a fantasy novel. And it’s wonderful that the fantasy genre can have such variation. I feel like there is something in the fantasy genre for everyone. The genre promises excitement, adventure, emotion, magic, and new things that no one has ever seen. I love that about fantasy! There are so many reasons to love fantasy. Not only are taken to another place, literally in most instances, you are in a world of magic and unlimited possibilities. It doesn’t always have to make logical sense, and when things go crazy you are wrapped up in it. Fantasy novels are the perfect getaway when you need something new. The characters, languages, and worlds are unique in each and every one. If it wasn’t for fantasy I wouldn’t want to have a pet dragon. Okay, maybe I would because hello…. dragons. Back to the point, fantasy is amazing, and you can find one that will appeal to you! 'Bricky' Coleman comes home to her crummy apartment in the middle of the night to find a man who desperately asks for shelter for the night. Although reluctant, Bricky takes a liking to him and through conversation they discover they are from the same small town, and are both jaded from moving to the big city. Bricky wants to go home and is eager for the man, Quinn, to go with her, but Quinn confesses that he has just robbed a man, and can't go back because the police will find him. Bricky convinces Quinn that he can just go back to the man's house before the robbery is discovered and put back the money. When they get to the house though, they find the man dead. They decide to try and figure out who murdered him before dawn, which is when their bus leaves to take them back home. Suspense experimented with format a bit I think, as this is an hour long episode, instead of the usual half hour. And for this story, I thought it was a very successful experiment! They story explores the characters more thoroughly, and even though Quinn and Bricky say "I love you" way too fast, I loved the suspense in the mystery, and especially when Quinn and Bricky have to split up. 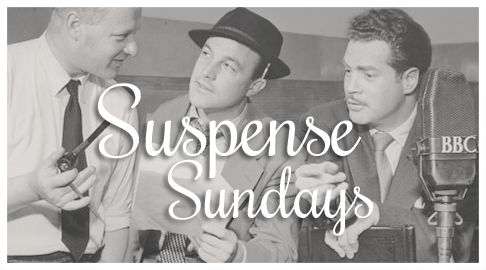 The mystery was able to get much more complex than a normal Suspense story, and it was perfectly plotted for the hour. The story has a very defined 'noir' feel too which was interesting for me to listen to. I liked the feeling of listening to what felt like an old black and white movie. And indeed this story was made into a film, although I've read that it differs somewhat from this radio episode. Soudha from Of Stacks and Cups tagged me for this fun meme (originally created by booktuber Rachel Reads). I love this tag particularly because it speaks to our quirks as readers, and it presents interesting dilemmas! Definitely standalones! I love that some worlds are expanded and explored in trilogies, but ultimately I love it when I can pick up a book and enjoy it and be satisfied at it's end. There's something nice in knowing I can move on to a new book/world afterwards. I find that I read female authors more often, and that there are more books that I really love that are by female authors, so I think I'll go with that. I'm not sure why that is, but perhaps there is something in the way female writing (no matter if the main protagonist is male or female) that appeals to me - the things the female writer chooses to focus on or illustrate? That's something I should explore more when I'm reading! In Movie Musical Challenge, I'm watching all 25 picks for AFI's greatest musicals starting from the bottom. 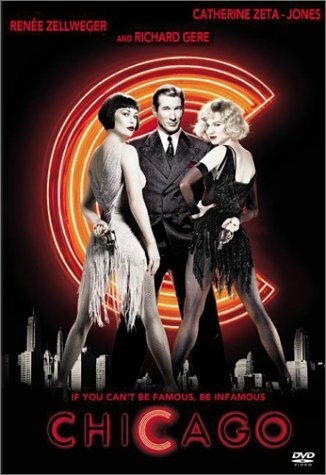 Number 12 is the most recent film on the list - Chicago from 2002, starring Renée Zellweger, Catherine Zeta-Jones and Richard Gere. This is one of the musicals that helped incite my love for the genre, so I'm very fond of it. So where to begin with Chicago? Well, I'll begin with the stage show version which I saw live after I had seen and loved the movie. For me, the stage show is kinda bland compared to the film. The film is so much more intriguing with the way the story is filtered through Roxie, and the singing and dancing becomes more believable when you think of it as Roxie imagining the characters as performers. I love the framing device of this film, and how well that perspective tells this cynical story of murder and fame. The way it cuts in and out seamlessly between Roxie's inner perspective and reality is so brilliant too! The casting is excellent across the board. All of the actors are amazing singers and dancers - and surprisingly so, since most were not known for those talents. Stunt casting in movie musicals nowadays is the norm, but it worked perfectly in this film. Renée in the "Roxie" number, and in "We Both Reached for the Gun"? Astonishing. Catherine Zeta-Jones in "All That Jazz"? A revelation! Richard Gere tap dancing his heart out. Stop being so awesome! And don't get me started on John C. Riley in Mr. Cellophane!